When Google introduced Pixel phones, they said there is an Support tab in the settings which helps users to connected with the customer support, which can be done via text, calling or screen sharing. Yes, you can share your screen with an Google agent which will look onto your screen (if you allow them), like video call and gives you instructions. Because not everyone's is a tech savvy. Some people need an actual person to help them, and that's completely okay - that's where Google Support Services comes in. Today, Google has published the Google Support Services application to the Play Store, to allow updates without new system updates. Also Google Support Services is only available in some regions, so if you can't load the Play Store listing, you'll know why. One of the Nexus owner with the Android 7.1 Developer Preview were actually able to receive support as well until Google disabled it. Now the Support tab in settings just has links to Google's online help. 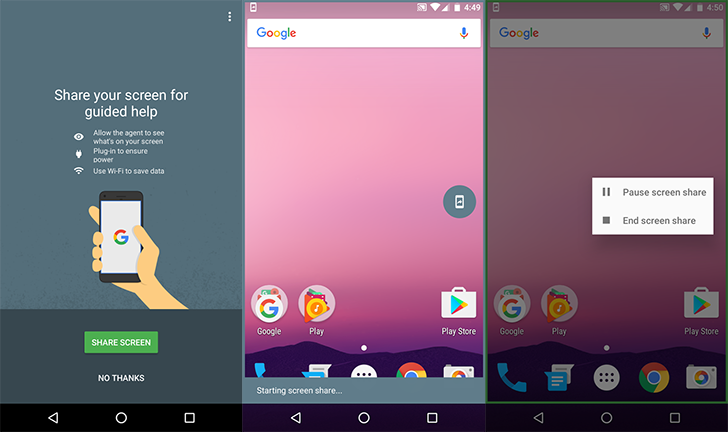 Right now it only works with Pixel devices, but it can be installed on any Lollipop device. This is a bug that will be fixed by Google in no time, but it's interesting nonetheless.